This is a great story of brave foxes, who set out on a long, dangerous journey. It all starts when one day there is a series of earthquakes on the Fox Island. Two brave individuals are chosen from among the fix tribe: ferocious Samar and Kala the hunter. Their task is to find the cause of the earthquakes and solve the problem. The foxes set out on a dangerous and long journey. 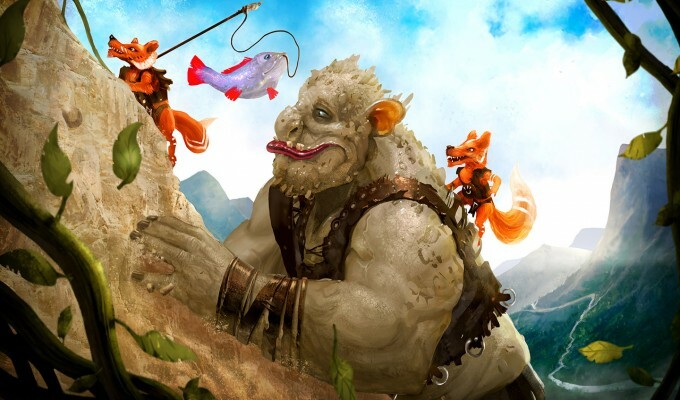 On their way they meet many strange animals and oversize creatures and experience numerous unforgettable adventures and funny situations. 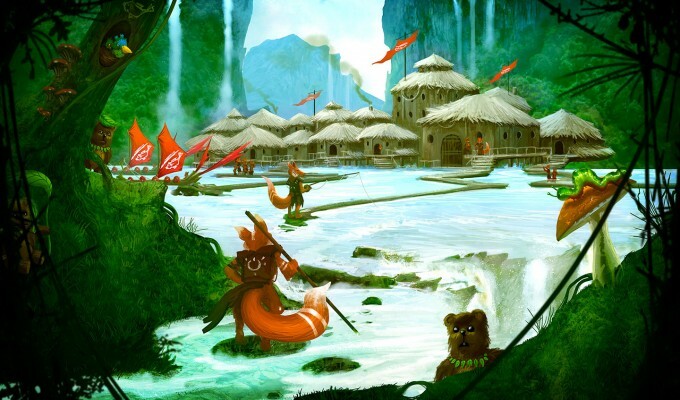 “Fox Tales” is an interactive story with features of an adventure game for children aged 6 to 12. It will be excellent both as an individual activity for a child and as a bedtime story, read out by parents. Since the text is visible on the screen, the story may also be a perfect aid when the child learns to read. The text may be read out by the parents or by a professional reader. Fox Tales is what I call an authentic picture book making. While leaving a strong classic European taste, the app is very sophisticated and was fascinated by the great dynamic excitement and the grandiose sense of scale. 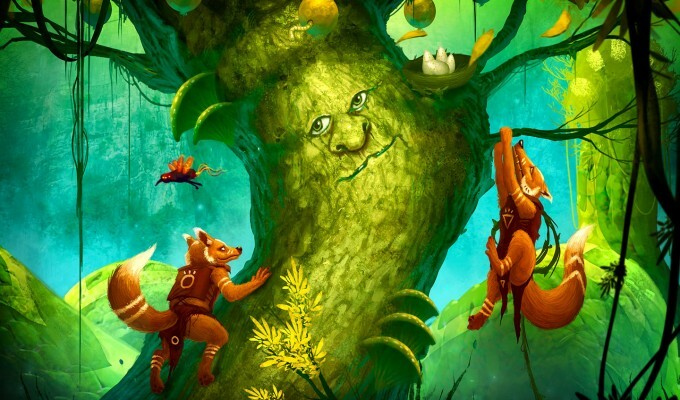 It is not a mere game or animation, rather a piece that reminds you that the foundation of the app is a “picture book”. From a parent’s perspective, it is a content that makes you want to introduce to your children. At the same time, from children’s perspective, they can instantly immerse into the story, which is why it is so wonderful.